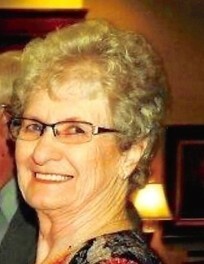 Opal Pasley, 81, passed away March 27, 2019. She was born May 8, 1937 in Clay, Arkansas to the late A.M. and Hazel Castleberry. Opal was a member of Pine View Church of Christ. She was an active resident of Harding Place for the last two years. Opal spent her life caring for her family. She will be deeply missed by all who knew and loved her. Opal is survived by two daughters; Cindy Holden (Wayne), Tonia Piker, one brother; Charles Castleberry (Debbie), sister-in-law; Shirley Castleberry, six grandchildren; Shannon Jones (Matt), Stephanie Reynolds (Wayne Blanton), Dustin Holden (Sarah), Jonna Sanchez (Miguel), Hannah Pankey (Adam), and Dillon Holden (Emily), eleven great-grandchildren; Holden Jones, Carter Jones, Alexandra Jones, Paige Reynolds, Kaci Reynolds, David Luke Jones, Aubrey Reynolds, Eli Blanton, Doyle Wyatt Holden, Zeke Blanton, and Connor Pankey. In addition to her parents she is preceded in death by her husband of 61 years; Doyle Pasley, two brothers; David and Terry Castleberry, and one son-in-law; Danny Piker. In Lieu of Flowers please donate to the Sparrows Searcy Children's Home.